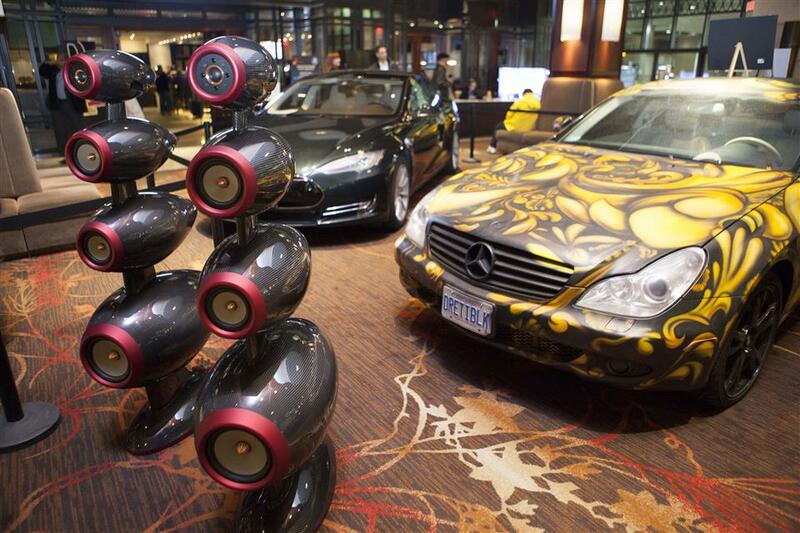 Visit us at the TAVES Consumer Electronics Show at the Sheraton Parkway hotel in Markham, just north of Toronto. This will be the sixth consecutive year that Audio Sensibility has exhibited at TAVES. This year`s show is at the same location as last year. Be sure to take advantage of the free indoor parking at the uptown Sheraton hotel. We will have our complete line of Audio Sensibility cables on display as well as accessories from Jelco, Furutech, Neotech, and others. Register today and use the Audio Sensibility promotional code 2016TAS to save $5.00 on admission for any ticket combination. Jolt! Art Gallery – featuring art from local artists ranging from tech-inspired paintings to photography and sculptures. Remember that today’s Millenials will be future high-end audio devotees. Be sure to expose them to the magic! Read the following for more information. *General admission for children 13 and under is free, however it does require on-line registration prior to the show, or at the door. Proof of age may be requested prior to free admission.